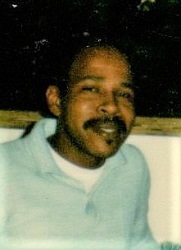 RICHARD L. DILWORTH WAS BORN FEBRUARY 15, 1947 TO THE UNION OF PRESTON AND MARIE DILWORTH IN SAN ANTONIO, TX. RICHARD WORKED AT PEARL BREWERY ON THE LINE MAKING BEER FOR 30 YEARS; THE LATER YEARS AS A SUPERVISIOR. RICHARD IS SURVIVED BY A DAUGHTER, THERSE, AND JOYCE M. LITTLE, CURTIS P. DILWORTH AND WIFE PATRICIA, BRENDA J. DILWORTH, NIECES: LINDA HAYWOOD AND BRITTNEY DILWORTH, AND NEPHEW DWAYNE; ALONG WITH A HOST OF OTHER RELATIVES AND FRIENDS. There's still time to send flowers to the Visitation at the F.E. Lewis Memorial Chapel from 9:30 AM to 11:00 AM on April 19, 2019.